How Far is Salim's White Field? Salim's White Field located in Iyyappanthangal one of the hot selling residential hubs in the suburbs of Chennai. The project is mainly built to satisfy a first-time home buyer and a compact home seeker. The project is composed of compact 1BHK’s and well planned 2BHK’s with various floor plans and spacious 3BHK Apartment for sale in Iyyappanthangal, Chennai. The project is mainly based out of a Chennai builder who is keener in developing projects to change the Skyline of Realty in Chennai. 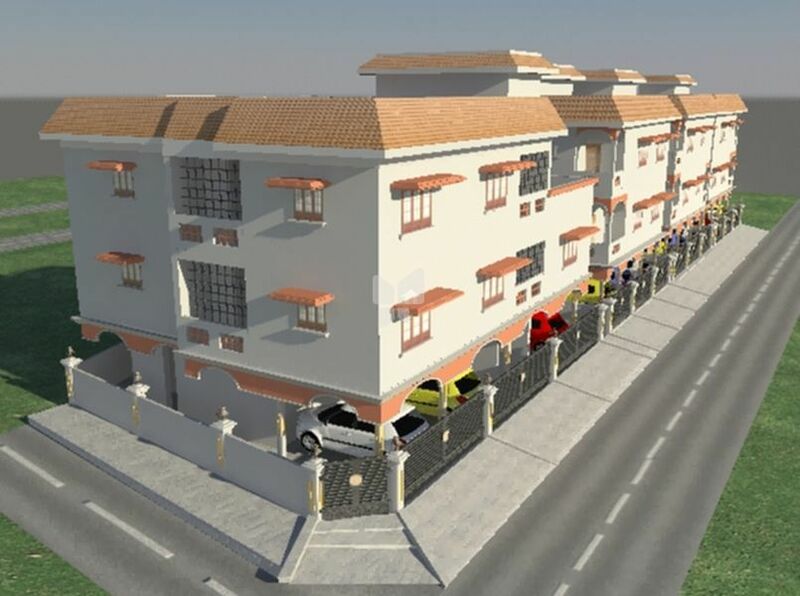 The project offers many basic amenities of a gated community such as Security and car parking. Salim's White Field is a residential development. This is one of the projects of Civil Engineering Enterprises. The project has a thoughtful design and is well equipped with all the modern-day amenities as well as basic facilities. Offering 1BHK and 2BHK which are well planned in a compact floor plan to equip the space to maximum. The 3BHK is spaciously designed offering ample of space to roam around. The project also has the strategic location advantage as it is developed in Iyyappanthangal offering proximity to Thirumazhisai, Avadi, Thandalam. High and specs for budget houses like marble slabs for ward robe, marbles stairs case branded fittings. 1 bore well,1 well, 1 sump, 1 septic tank, 1 overhead tank. Free choice of room sizes, materials color depending on the cost difference. Covered car parking ,Free lights fittings both inside & outside of flats at the time of handover. Salim CEE Promoters and Builders was incorporated in 1985, with an idea to develop low-density housing projects in the city. It was founded by M.A. Salim, who has created several prestigious projects for the income groups. These are a few of the recent projects, Salim’s White Field one of the under construction project developed with 1,2,3 BHK Apartments for sale in Iyyapanthangal, Chennai. Civil Salims Kaveri Vinayagar Illam is available with 1,2,3 BHK. They are not just striving to build futuristic homes but are developing eco houses in a way that environment and urban values remain in symbiosis. Salims golden park one of the under-construction project by the builder is developed in a CMDA Approved layout with 1,2BHK Apartments for sale in Iyyapanthangal, Chennai. Our contemporary staff blueprint includes a laudable band of around 128 fully qualified and fine experienced civil engineers along with a streak of committed administrative professionals, further supported by a strong potency of around 1250 workforce in the order of well steered skilled masons, carpenters, electricians, plumbers, painters, etc., enjoying the real experience of human life in our CEE family, having all the gains of whatever they frankly ought to have. 32 years of existence in Civil engineering field. Customization at all stages. Loan arrangements. Life time interaction.